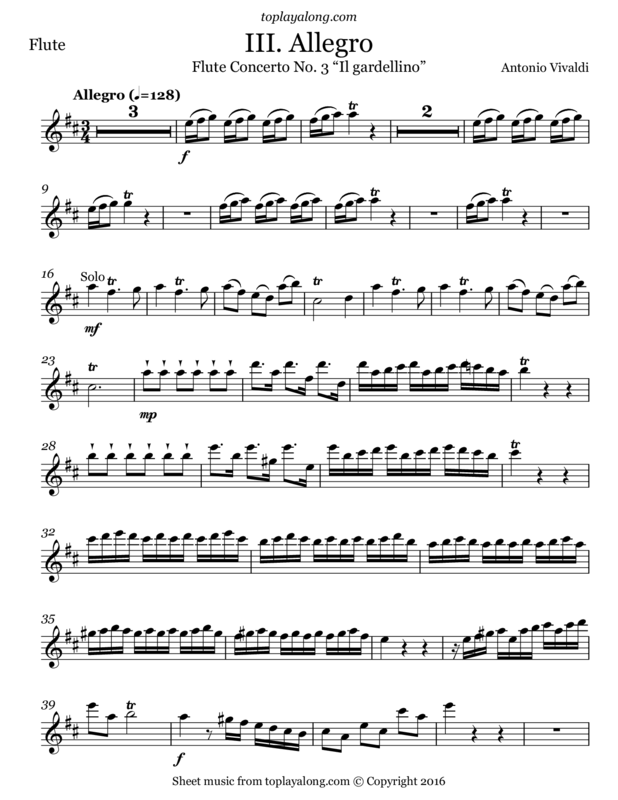 The third and last movement of Flute Concerto No. 3 in D major Op. 10, RV 428 "Il gardellino".